Safeway Inc. the Fortune 500 company is the second largest supermarket corporation in North America and the chain is running successfully after the most popular supermarket chain that is Kroger Co. According to 2010 December report, the company is running near bout 1694 stores in both Eastern Seaboard and in Mid Atlantic areas. Headquarter of the company is in Pleasanton in California. In 2011, Supermarket News ranked the company as the fourth largest supermarket chain. Again, 2009 revenue report says that the company is the eleventh largest retailer in the US. In 2010 fiscal year, the company earned near about $41 billion of revenue. There are currently 8 consumer reviews about Safeway available. Share your review. Why do you make it so difficult to contact you (Corporate office) by email? I'm writing about your Safeway store on Waterman (again). Nastiest parking lot in FF. They don't clean their entrances. I was there 3 times in past 10 days looking for 1 item and it wasn't there. Shelves are so high things on top shelf cannot be reached. Why should I have to spend my time looking for someone to come and get things down when safe step stools could be provided on each aisle? Most depressed and depressing employees anywhere. Over-crowded aisles, junky, too much stuff and the lighting is ridiculous. I've been to Safeway owned stores here, S. CA,(Vons) and PA (Gennardi's) and they've all been clean and well stocked and well run. The manager at Waterman should be replaced immediately. Clearly, the district or corporate people don't care. Safeway on Waterman Blvd., Fairfield, CA - dirtiest, nastiest parking lot in all of FF, and this is "supposed" to be a relatively nice, middle-class neighborhood. On a different visit into the store I stopped the manager, Cami Wood and told her how nasty the parking lot was, and asked why something could not be done about it. She started making excuses, etc.. Bottom line, the parking lot, as well as both entrances, are still nasty. No one there to use a broom? Inside of store extremely over-crowded with merchandise, yet when I went to the bakery, their shelves of fresh-baked goods almost empty. Bought PB cookies that advertised as on sale for $3.49 yet rang up at $3.99 because Safeway doesn't update it's computers (maybe purposely?) because people are often rushed or too busy to check as items are being rung up? Same thing with deli - wanted to buy individual sized mac and potato salads; only 4 mac salads set out. Clerk too busy to look for potato salads. Most depressed, unhappy group of grocery clerks in Fairfield, CA. :( You want to be depressed, just go up there and you'll see! Good Morning, I went to a community meeting yesterday with Regency Center and was deeply disheartened that the quality of customer service has declined at the Clinton, MD Safeway Store. My mother’s medication went unclaimed for over 2 weeks before her surgery and no apologies or a manager could be found. It’s a shame that the attitudes within the store are horrible even from the managers, there is no hospitality and a lot of the people around the complex have decided to take their business to Brandywine or Virginia. This shame that the associates of Safeway; a well-built establishment would allow its customer to be treated this way. Some folks have gotten together at these meetings and suggested that others not shop at Safeway until the attitudes and the customer service complaint is met. Please take this email into consideration that your sales are in jeopardy of declining due to bad manner staffers. I was in the Safeway store in Windsor, California on August 19th 2013 in the evening. I made a large purchase including a cat flea treatment and a single pack of cigarettes. The bag person went to get the cigarettes and offered to put the cigarettes and flea treatment in a different bag from the food. When I arrived home, I realized that I did not have my cigarettes nor my cat flea treatment. I called the store right away and was placed on hold. The person who I was talking to found the items and told me that I was welcome to come and pick them up. I advised that employee that I would not be able to return until the next day, they assured me that everything would be fine. Upon arriving the next morning, (Today), I did what I was instructed and encountered a manager by the name of Pam who was VERY rude and would not help me. Ste stated, "You can take the cat stuff but, I don't trust you on the cigarettes. I WILL NEVER SHOP IN SAFEWAY AGAIN, LUCKY IS MUCH BETTER AND TREAT THEIR CUSTOMERS WITH RESPECT!!!! A manger name Elizabeth at Green House Safeway in San Leandro, CA has be harassing me. I have shopped at this store for over 25 years and never had a problem until last week for no reason at all. I tried talking to the main manger Michael about it which made the matter worse. I called corporate for help this afternoon. The man assured me I would be ok if I shopped at my Safeway. I was treated so badly at the green house Safeway. I called the number #925-467-3000, after talking to the lady with detail of what happen she said " I am off work in 4 minute cant do anything for you. I went to safeway in lake havasu city az today and was followed to the meat department and then towards the milk by two employees manager brittany and an employee shauna when got to the eggs they both apprached me talking quietly stating I had to leave the store because I had been caught last week stealing soda. I said huh they said yeah u have to leave we told u u could not come back to this store. I said no im from California they looked at eachother giggled said oh okay walked away quickly. Both were talking so I followed them yelling excuse me excuse me and they kept walking. Finally Brittany turned around saying can I help you. I said yes I want to speak to a manager she said I am I told her again I was from California she said oh ok and walked away again. I was in shock and called when I got home to see if they had pictures she said I think so then said no we dont thats not our routine. She said im very sorry I told her you didnt even apologize when I was there she said again shes sorry. I then asked so you just go up to any girl and apprach them. She couldnt answer. I asked her if the girl had a messed up eyelid too. She said she didnt know. This is not good at all harassing me discriminating against me. Profiling me as a theif maybe its because I walked in with my black husband. First would someone spell the word "AVERAGE" correctly when asking for a rating! I am a Safeway retiree so Safeway means something to me! Someone in marketing for the Maryland Safeway stores has dropped the ball in the last 3 weeks. In Maryland, Giant Food Stores has always been Safeway's major competitor. Giant has lowered their everyday prices a great deal and their ads are making Safeway look foolish...like you haven't done your homework or you just don't care about ripping off your customers! Giant's prices are much lower than most of the prices in your "Just for You" promotion!!! Please have someone look at both ads immediately!!! Anyone in their right mind will be shopping at Giant this week because they can save soooo much money just on the front page items and also the produce items!!! Wake up before you lose your customers...I need a retirement check every month and I don't want Safeway to go out of business!!! 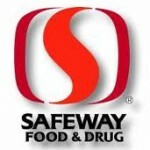 Please take a note that you are about to post a public review about Safeway corporate office on CorporateOffice.com. This review will be public, so please do not post any of your personal information on this website. If you would like to contact the corporate offices of Safeway, please use their contact information such as their phone number, website, and address listed above to contact them. However, sometimes staff from Safeway headquarters do read the reviews on this website.